Hello! I am super excited to be guesting with Neat & Tangled this month! They have some of the cutest stamps and dies around! It was love at first sight when I saw the Flower Medallion Stamps set and Flower Medallion Builder dies! I'm a sucker for anything you can make into a flower or use for radial symmetry. I have two cards to share with you today using this fun new set! I started with a piece of watercolor paper and stamped the leaves on that using Distress Inks. I then took a brush and some water and loosely went around the edges creating a soft watercolor look. When that was dry I added some speckles with the same Distress Inks. I cut the watercolored panel to fit the top of my card and glued that down with adhesive tape. 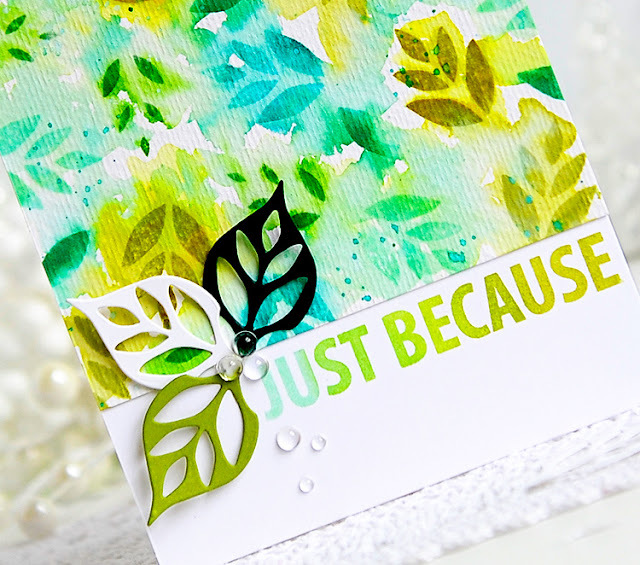 I used the MISTI to stamp the sentiment underneath in the same shades of ink that I stamped the leaves in. I then cut out three of the flower/leaf dies, arranged them on the side, and added some rain stones to finish it up. For my next card I wanted to use the Flower Medallion Builder dies to create a flower. I took some plain white card stock and blended some purple and pink ink onto it, then cut the petals from that. I stamped the flower in the center of the card, then arranged the petals around it. I used the tiny circle stamps and stamped those in between the petals, and added some sequins to the center. 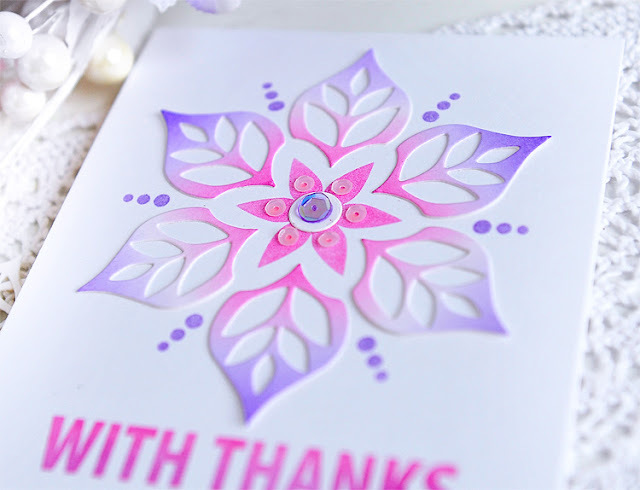 I used the MISTI to stamp the sentient with the same purple and pink inks to match the flowers. Kay these are just gorgeous! I love how luminescent the first one is, and the ombre inking on the second is so so pretty!!! Beautiful cards!! Your web-site is so soft and pretty too! Hi Kay! Happy St. Patty's day! I join the girls here in a big Congratulations on your guest designing. Your excitement truly comes through as you're working with different designs and products. I'm very happy for you! 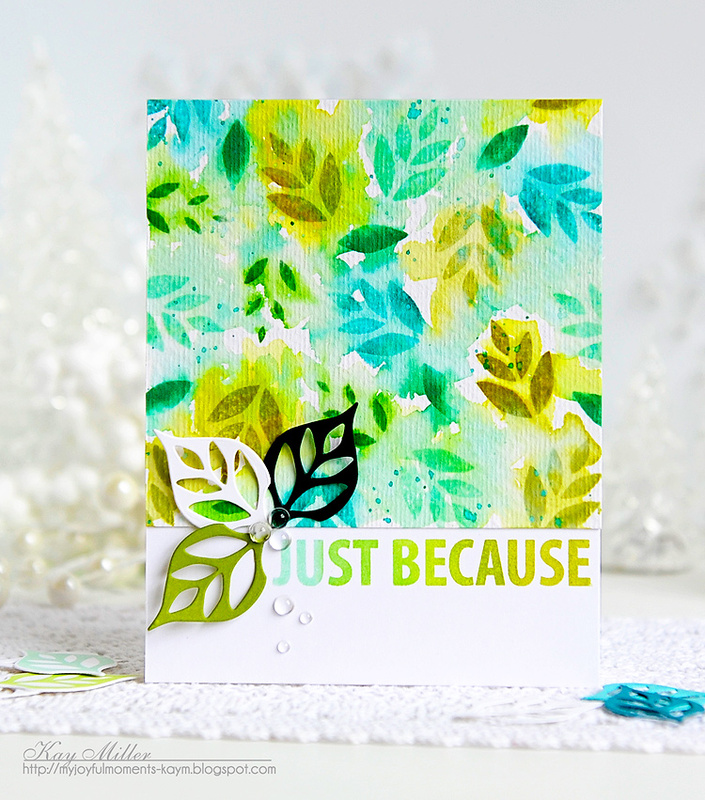 :) Btw, As I was looking for stenciling techniques, I came across your lovely card using the BirchForest stencil from Cutting Edge. Forgive me for sounding repetitive, but I want to thank you for not only sharing your work but helping us to learn from you. I LOVE your cards, and that's no exaggeration. Happy week to you! And my sincere thanks for your heart warming replies. All my best! You've done Neat & Tangled proud Kay, these are pretty cards!! I love your loose watercolor coloring! Both cards are beautiful Kay! LOVE LOVE LOVE the BG!!! !